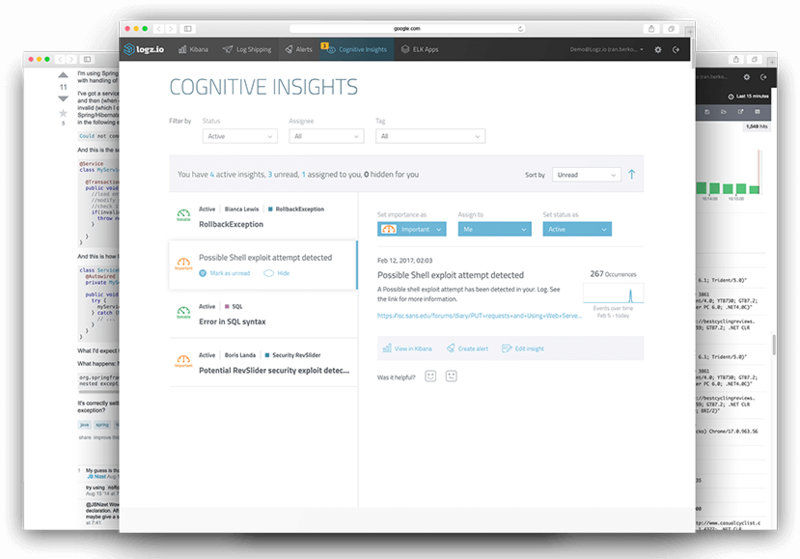 Cognitive Insights™ focuses on how people throughout the world are interacting with log data rather than just on the log data itself. Imagine using AI to troubleshoot issues in production together with hundreds or thousands of other engineers in the room. Logz.io uses artificial intelligence to research and collect the industry’s knowledge of events and anomolies within log data from locations such as online discussion forums, Google searches for relevant information, and GitHub. Use the Web to resolve issues quickly and easily. 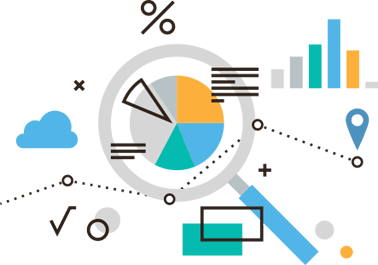 The Kibana-based interface lets you search through millions of records to investigate current or potential issues and pinpoint the logs that matter. The results can be filtered by server, application, or any custom-defined parameter to find the source of the problem. Download monitoring dashboards for different servers, applications, and services from the Logz.io online ELK Apps library. The dashboards are generated by our machine learning technology and are also contributed by users.